When approaching freezing temperatures, Descending Temperature Indicators let you know. Unfortunately, you can’t always tell, especially if the product thaws by the time it reaches your dock. The Descending Temperature Indicators let you know if a product has been exposed to cooler temperatures that may compromise quality. The irreversible, chemical color change indicators show a clear and precise change at a specific set point. Industries ranging from pharmaceutical, food, medical to industrial and chemical have proven the benefits of this full line of Descending Temperature Indicators. 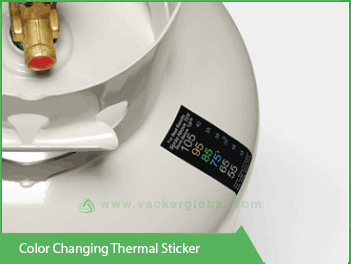 Designed for easy adherence, the Descending Temperature Indicators are easily applied to any number of surfaces for an economical yet high quality solution. 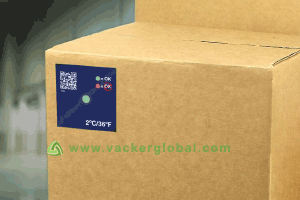 It couldn’t be simpler to use with one-step visual and irreversible indication that provides clear proof of exposure freezing temperatures. You can count on consistently accurate results and durable performance. The Descending Temperature Indicators use no glass components or hazardous materials, just innovative technology.